One GT drive, one win: that’s Rob Bell’s record in our type of racing – but with the news that he’s signed to drive for Team LNT in the Le Mans Series this year, he’ll be aiming to add to that record. 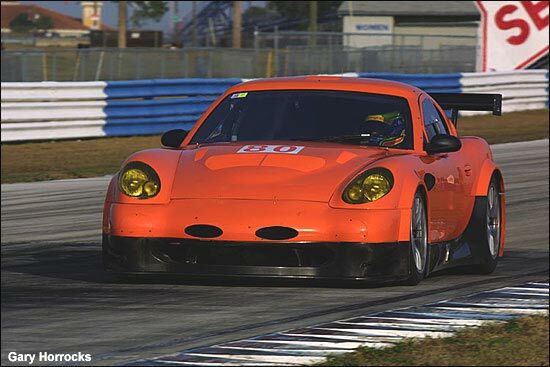 Team LNT will race two Panoz Esperantes in the LMS, and the four drivers will be Bell, team owner Lawrence Tomlinson, Warren Hughes and Richard Dean. 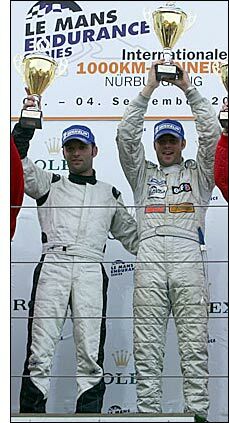 Rob Bell is pictured on the top step of the podium at the Nurburgring, with Darren Turner, after the pair’s GT1 victory in the Convers Team Aston Martin. Team LNT continues with an extensive testing programme in the UK and Europe throughout February and March, before taking part at Sebring next month. The team enjoyed a successful test there at the end of January - although Lawrence Tomlinson's ribs took a pounding.